Of all the historic prominence encompassing downtown Lowell, The Whistler House Museum of Art contributes greatly with its distinctive beauty and fascinating history. The three-story, 14-room house at 243 Worthen St. was home to various important leaders of Lowell’s Industrial Revolution prior to its foundation as a museum in 1908. Originally constructed in 1823, the house was occupied first by Paul Moody, creator of America’s first functional power loom; Major George Washington Whistler, chief engineer of the Locks and Canals Corporation; and James B. Francis, inventor of the Francis Turbine. Perhaps the most intriguing aspect of this house is that it is the birthplace of the influential and revolutionary 19th century American artist James McNeill Whistler. To the credit of the Lowell Art Association, the legacy of this great artist and his work is available to the people of Lowell from Wednesday through Saturday 11 a.m. to 4 p.m.
Whistler was born on July 11, 1834 in this very house in downtown Lowell to George Washington Whistler and Anna Matilda McNeill. At the age of nine, he enrolled in the Imperial Academy of Fine Arts in St. Petersburg, Russia where his father was invited by Czar Nicholas I to design a railroad. After his father’s passing, Whistler and his family moved back to the United States where he would later attend the United States Military Academy at West Point. Here, continued drawing and received exceptional grades in engineering classes, but failed chemistry. Disappointed, he departed and moved to Paris in 1855. While in Europe, Whistler was able to develop his distinctive style. He is admired for his use of muted colors and everyday aspects of life while capturing their simplistic beauties. 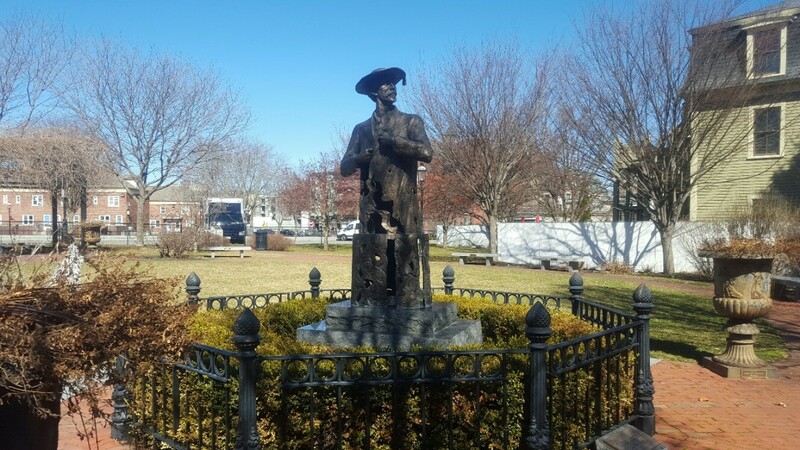 Lowell is undoubtedly lucky to be the birthplace of such an accredited artist, and the Lowell Art Association has utilized this as a way to expose the city to an array of 19th and early 20th century American artwork. The museum includes work from various additional local artists including David Dahloff Neal, Charles Demetropoulos and Mary Earl Wood. It also offers a wide variety of art forms like etchings, oil paintings, sculptures and dioramas. On the second and third floors are art studios, currently in use by local artists Dave Drinon, Mary Rose O’Connell and Lisa Kovvuri, which are available for visitor’s viewing. It is also important to note that the Whistler House Museum of Art is a participant of the UMass Lowell Co-op Scholars Program and welcomes any volunteers. It is evident that they share Whistler’s great appreciation for artwork and yearn to spread their passion with the people of Lowell. Exploring this unique home is a must when visiting downtown Lowell. The admission fees of $7 for a self-led tour and $10 for a docent-led tour are certainly worth the educational experience and breathtaking artwork. A visit to the Whistler House Museum of Art is a beautiful reminder of the essential role that artwork plays in our society.